This final-round Slow Chess League tournament game featured an imbalanced Caro-Kann, where Black staked everything on an audacious kingside attack after the dubious decision to sacrifice two pawns coming out of the opening. Essentially I overreacted to White's 10. Qb3, an excellent move which nonetheless could have been neutralized with a little more thought. However, it being a Friday night after a long week of work and a glass or so of wine, I had something of a devil-may-care attitude and felt like playing actively, rather than defending a potentially worse position with objectively best moves. White, perhaps seeking to consolidate his advantage rather than press it, soon afterwards missed the powerful 16. Ng5! which while not winning immediately would give him an overwhelming advantage. I was then able to continue with my attacking plans, although missing the much stronger 21...Bxh2+ continuation. (Thanks to nate23 for raising this in the post-game analysis chat.) White's king is eventually chased across the board and material loss ensues. Black's ability to fight for the initiative and then put together a winning attack helps illustrate the practical power of active, aggressive play. I constantly searched for threats to make against my opponent and for ways to improve my piece positions for attacking purposes, which increased the pressure on White. Annotated Game #104 saw a broadly similar game trajectory, in which I was able to pull out a victory after being under pressure and down material. While the point of post-game analysis is to help avoid putting oneself in that kind of a hole during future games, it's also worthwhile to understand on a broader level what kind of play can be most effective in terms of results. 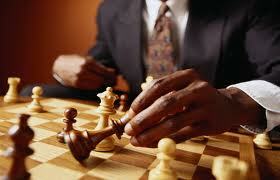 I'll share some related thoughts on chess performance vs. chess skills in a subsequent post. 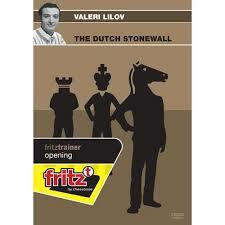 This week I completed The Dutch Stonewall ChessBase fritztrainer DVD, which features Bulgarian FM (soon to be IM) Valeri Lilov. The DVD format has a series of 10-12 minute segments that were evenly divided between Classical and Modern Stonewall variations, with two segments on early deviations for White, as well as an introduction and end summary. I found that the DVD was a good complement to the Win with the Stonewall Dutch book, which is devoted solely to the Modern Stonewall and goes into a large number of variations and sample games as well as treating central ideas. Having run through almost all of the book material line by line, I have to say that it made for an excellent and thorough exposure to the opening, but the quantity of games involved (a positive from a reference standpoint) perhaps obscured some of the central themes for me. The presentation on the DVD was also built around key games but the more limited review material, along with the verbal and graphical explanations of key concepts, helped highlight them effectively. The DVD was by no means oversimplified, however, with Lilov regularly pointing out key points of divergence. Furthermore, after reviewing the Stonewall portion of Starting Out: The Dutch Defence, I noticed how much clearer and familiar its explanation of Stonewall concepts seemed after having absorbed the DVD material. I'm sure part of this is due to the repetition effect, but having three different styles and methods of treating the Stonewall seems to have been more effective for my studies rather than less. Another benefit of the DVD presentation is that Lilov is a practitioner of the defense and has gone through his own study and learning process with it. His end summary segment mostly emphasizes the need to make the opening your own by studying master games, analyzing games for yourself, and playing it until you get a better feel for how the system works in practice. He also explicitly cautions against memorizing lines without having a full grasp of the concepts involved and makes the practical point that you should initially expect to have worse results when playing a new opening, due to your lack of familiarity. His recommendations parallel my preferred opening study methods, as Lilov does not promise any sort of magic formula by using the Stonewall and instead notes that work needs to be done on it, just like any other opening. He closes by observing that after he got serious about studying top-level games in it from Kramnik and others, the opening came together for him as a player and he started beating master-level opposition using it. There were a few things that detracted from the DVD. Lilov in most segments misspeaks a few times, usually saying the last thing he was focusing on rather than what he intended to say, which is a common verbal error in unrehearsed presentations. For example he will say queenside when he means kingside, or will incorrectly specify a square by saying d4 instead of d2. Because of the graphical chessboard accompanying the lecture and the relative obviousness of what he meant to say, this is not an insurmountable problem, but could pose difficulties for someone less used to chess nomenclature or whose native language is not English. The segments don't seem to have been reviewed for editing purposes, otherwise these errors would have been caught (either that or they were ignored). In terms of chess content, I found the game selections and material to be well-selected, if not fully comprehensive. The area least covered is probably White's early deviations, but Lilov presents some useful approaches against what are probably the majority of White's more common variations, including the Staunton Gambit. I believe anyone who wishes to play the Dutch Stonewall, especially those interested in the less theoretically prominent Classical Stonewall where resources are harder to find, will get a lot out of the material on the DVD for instructional and reference purposes. As cited above, I also think having instructional and reference material in DVD format serves to usefully complement other excellent book material on the opening. In addition to the main PGN annotated games database, there is now a separate commentary games database available for download, also listed on the sidebar. Originally I had planned solely to focus on my own games for analysis, but periodically some major chess events have provided some excellent grist for the analytic mill, such as the U.S. Championships and the FIDE World Cup. As an admin note, one of the commentary games, "Nakamura Plays the Slav", was included in the primary database and I'm going to leave it in there so the database numbering matches up with the "Annotated Game" post title numbering for the blog, although it is also included in the commentary games PGN database.